As the initial design for a forth coming range. 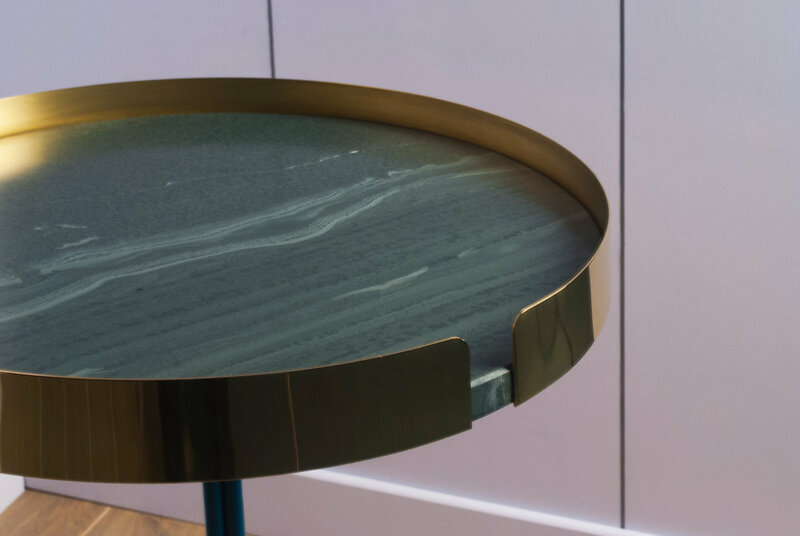 The Strata table has a minimal and elegant design topped with Lakeland Slate to celebrate a material which forms the bedrock that supports the local landscape around our workshop. Spray painted steel legs with green Lakeland Slate and polished Brass edging.